Drink Water After Massage, Lots of It! If you have ever had a massage from me, one of the phrases you have almost certainly heard at some point (probably multiple times) is “Make sure you drink plenty of water over the next few days.” Most people know this is what they need to be doing, but are not exactly sure why. The question has come up a few times recently so it triggered me to write a blog about it. First off, regardless of having a massage, you should be drinking water anyway, and probably more than you already are. Most people don’t drink enough. Plain old, pure water is what it needs to be. None of this “well, there is water in my coffee, so that counts” (or any other daily drinks of yours). Just how much should you be drinking? Well, while the 8-8oz glasses a day rule is good for a lot of people, it really depends on your size/body weight. Since our body is made up of mostly water, a man who is 6’5″, 230 lbs needs a lot more water than a 5’0″, 100 lb woman. I usually tell people to drink half of your body weight in ounces (so if you weigh 150 lbs, strive to drink about 75 oz of water/day). Now that you know how much you should be drinking, how does it relate to massage? First I will talk about healthy vs unhealthy muscle tissue. When your muscles are healthy(hydrated) they feel soft, almost spongy and allows blood to flow freely throughout the vessels. Unhealthy(unhydrated) muscle tissue is the type that is causing you pain. It is tight, feeling more compact and restricted in movement. It also restricts the amount of blood flow and lymphatic drainage through the tissue by constricting the capillaries. If you are not getting a good amount of blood flow through an area, this decreases oxygen and nutrient exchange, as well as allowing metabolic waste to build up and become stuck within the tissue. Our bodies are masters of adaptation, and your blood will actually find other, less restricted paths around this area. When you get a thorough, deep tissue massage, these areas of muscle tension and restriction are usually the primary focal points. The therapist is working to break up the adhesions that have formed in the unhealthy tissue, allowing increased blood flow, increased movement, and to restore the muscle to a more healthy state. What happens when you open up these areas is that the metabolic waste that had been trapped due to lack of blood flow is now released and on its way out through the lymphatic system. Nutrients and oxygen are being delivered to the muscle at a faster rate, and this all uses water from your blood stream, which may give you a feeling of dehydration, or thirst. Similar to why you need more water when working out, your muscles are using more oxygen, and water is necessary for this exchange so it gets used up faster. There is a myth that many people believe that massage is ‘flushing toxins out of your body’, such as lactic acid (which I have already debunked that myth in a previous blog you can read here). The toxins should actually be referred to as metabolic waste, which isn’t toxic and is naturally occurring in the body. Surrounding every cell in our body is a liquid called interstitial fluid, and you guessed it, made up of mostly water. Within that interstitial fluid is metabolic waste that needs to be transported back to the blood stream in order to be filtered through the kidneys. Massage is pushing, and moving this fluid around, and causing everything to happen at a faster rate. An increased amount of metabolic waste is being processed and filtered through the kidneys, which makes them have to work harder and is also using more water. If you have ever experienced a feeling of nausea, headache, or flu-ish like symptoms after a massage, this is due to the increased amount of metabolic waste being transported out. Drinking more water after your massage can help reduce those symptoms, or even stop it from happening. So, it is true you should drink water after massage in order to re-hydrate because your body is using water at a faster rate, but the key is to be drinking enough water EVERYDAY, whether you get a massage or not. 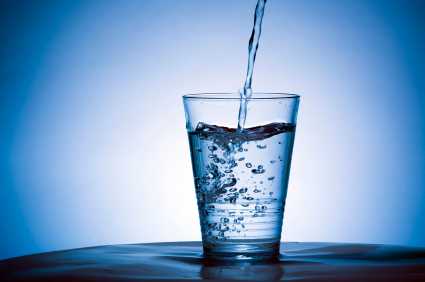 Water is vital for every function that occurs in the body, and necessary to maintain healthy, hydrated muscle tissue. This entry was posted in Massage, Sports Massage and tagged dehydration, dehydration after massage, drink water after massage, hydration, metabolic waste, why you should drink water after a massage. Best Sports Massage in the Northwest! Should You Still Get a Massage When Sick?